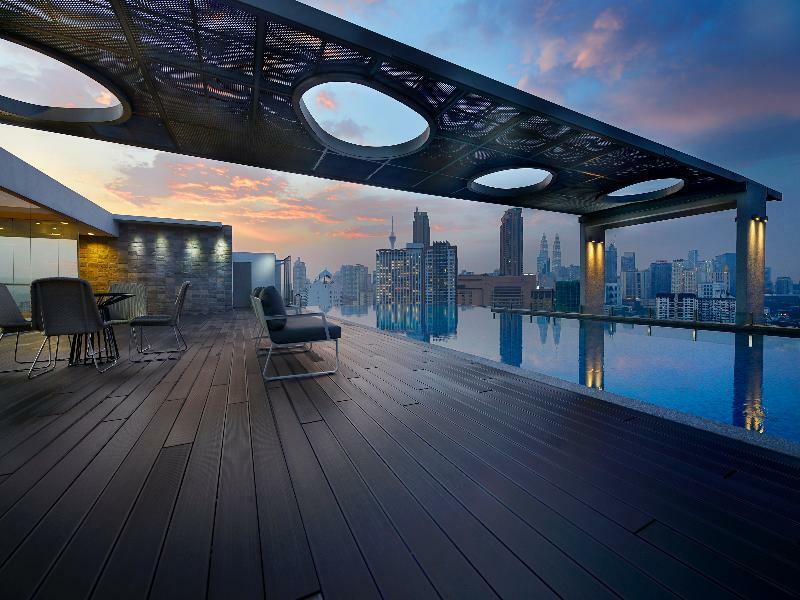 The best infinity pools are the ones that gives you a bird’s eye view of something envious. 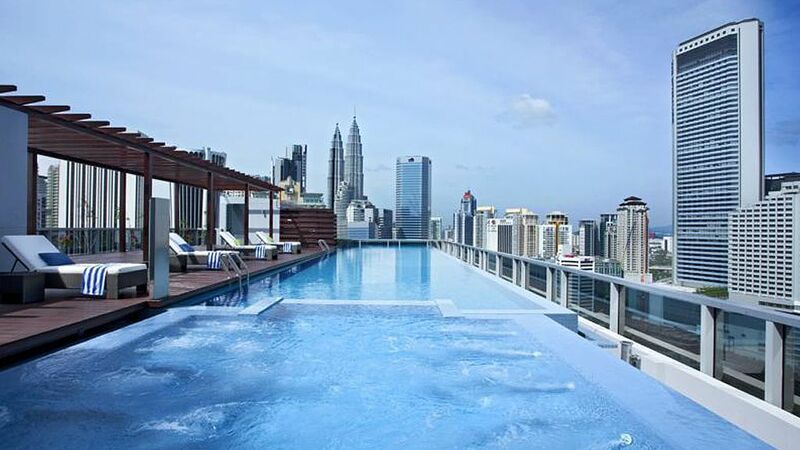 Here in Kuala Lumpur, there are tons of these rooftop infinity pools that overlooks the stunning Petronas Twin Towers. And they don’t cost a fortune either! 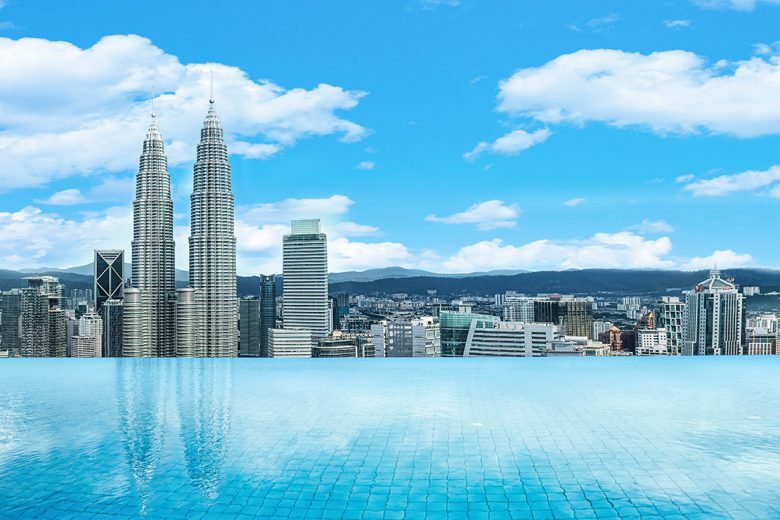 So whether you’re looking to update your Instagram feed or just want to have a good relaxation, here’s Fun N Taste’s list of the 10 Rooftop Infinity Pools with Petronas Twin Towers View. 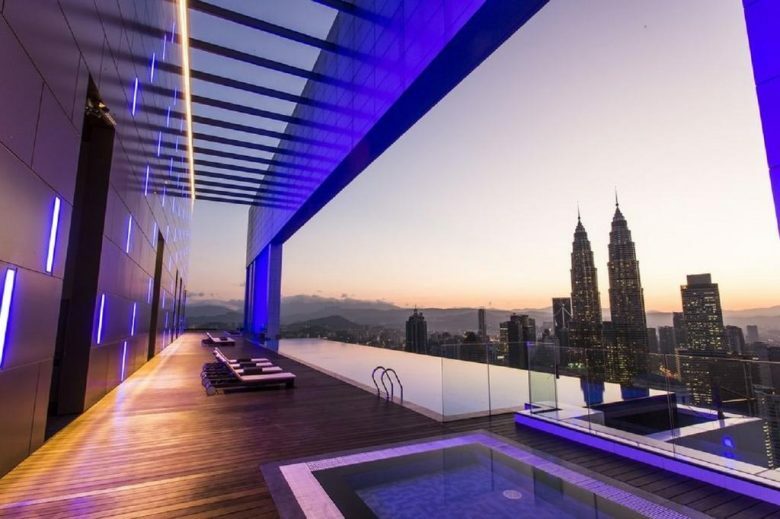 The FACE Suites is located less than 10 minutes drive from Petronas Twin Tower, and up on level 51 is its stunning infinity pool. 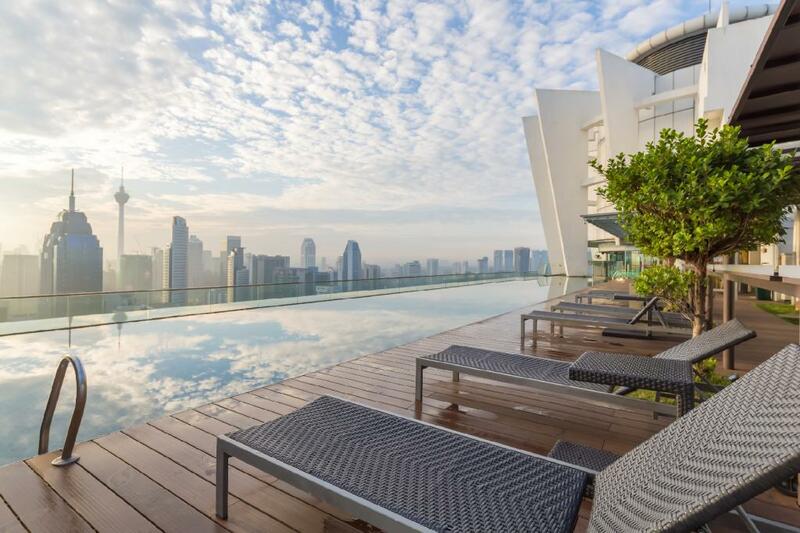 Boasting 38m in length, which could possibly be the largest infinity pool in town, swimming here might feel like you’re on top of the world. 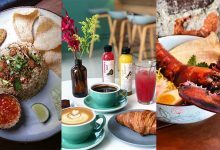 Located on the busy Jalan Pudu, not only does D’Majestic Place by Swiss Garden have an infinity pool. 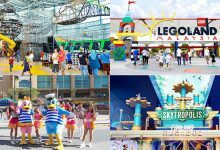 The hotel also includes a rooftop gymnasium, hi-deck patio, and jacuzzi facilities. Regalia Residence is home to the Hemisphere and Bar, the perfect spot to sip cocktails while watching the sunset. 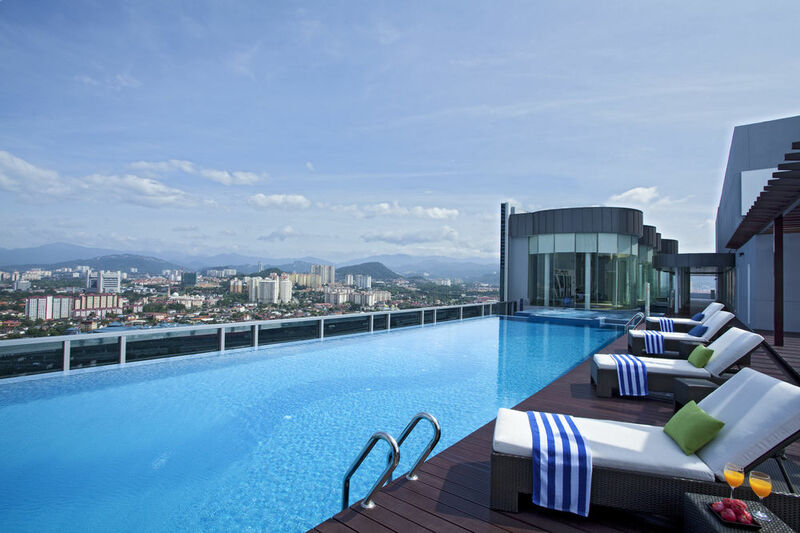 For guests who stay in the property, they can enjoy the 37th floor infinity pool facility overlooking KL city skyline. 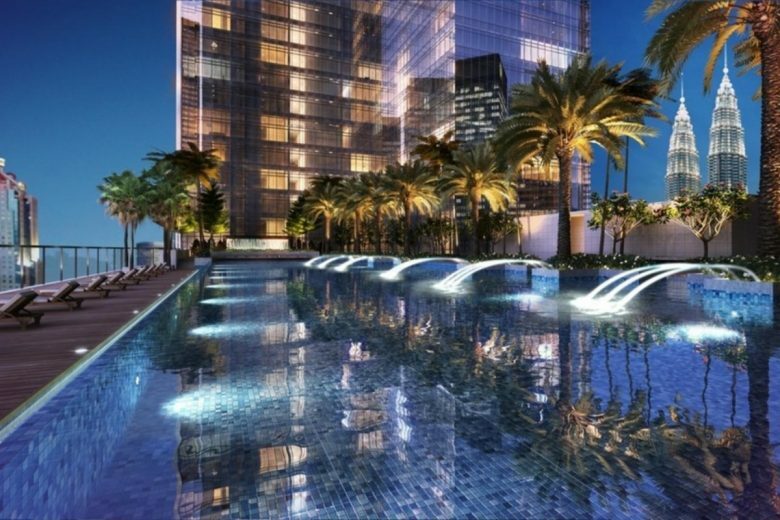 The infinity pool by Tamu Hotel & Suites is located on the 14th floor. 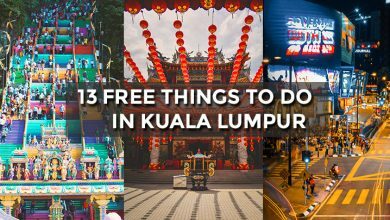 Although that might not seem high compared to other hotels in this list, the infinity pool is massive and it offer an uninterrupted view of KL Tower, Petronas Twin Tower and historic village houses around the area. 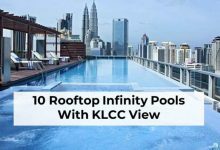 One of the closest hotel to Twin Tower in this list, Impiana KLCC Hotel features an infinity rooftop pool overlooks the beauty of the towers. 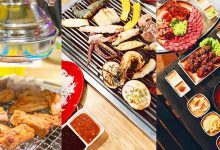 It is also a good option for business travellers as the hotel is surrounded by many business organisations. 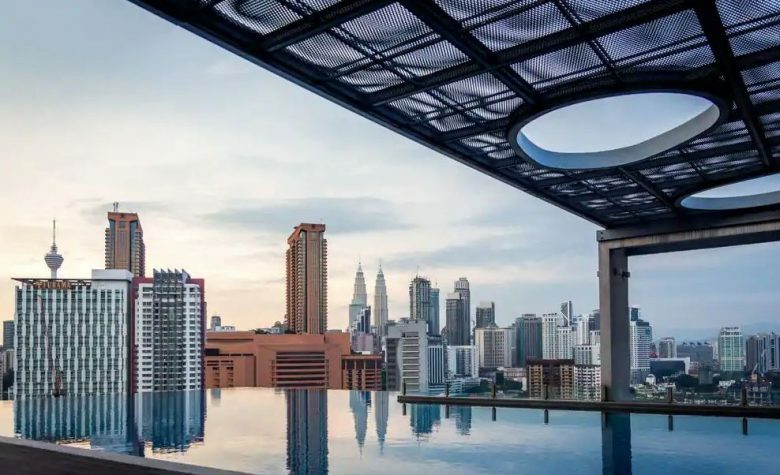 Located nearby Putra World Trade Centre, WP Hotel is a business-friendly hotel and its beautiful rooftop infinity pool offers a fantastic panoramic views of KL City. 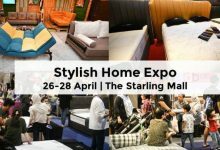 This luxury serviced apartment is the perfect place for a staycation if you don’t want to leave the city of KL. On the property, guests can relax in the hot tub after a workout in the fitness center, or take a refreshing dip in the infinity pool. 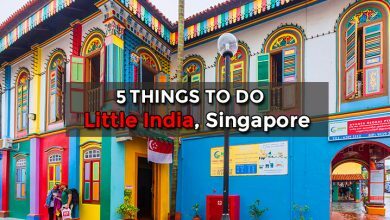 The infinity pool in PARKROYAL service suites is not as happening as the rest in this list, but it is still worth checking out. 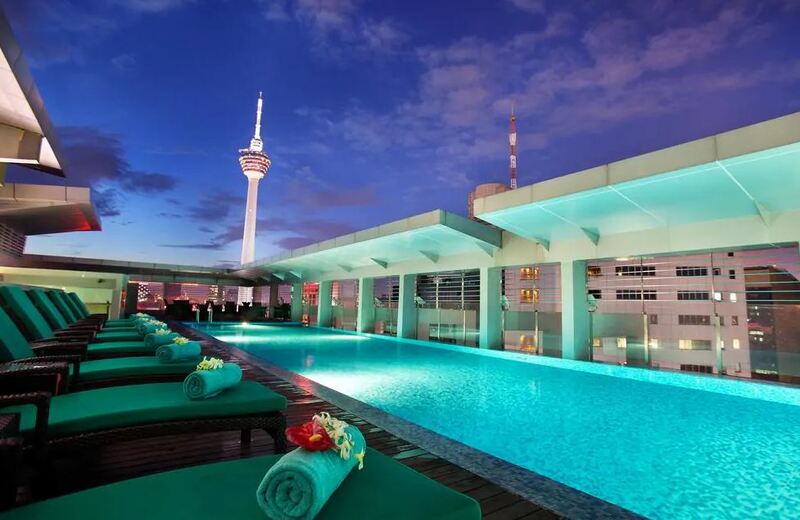 The Skypool on the 31st floor of the building offers a beautiful panorama of the city with KL Tower and KLCC featuring prominently in the skyline. 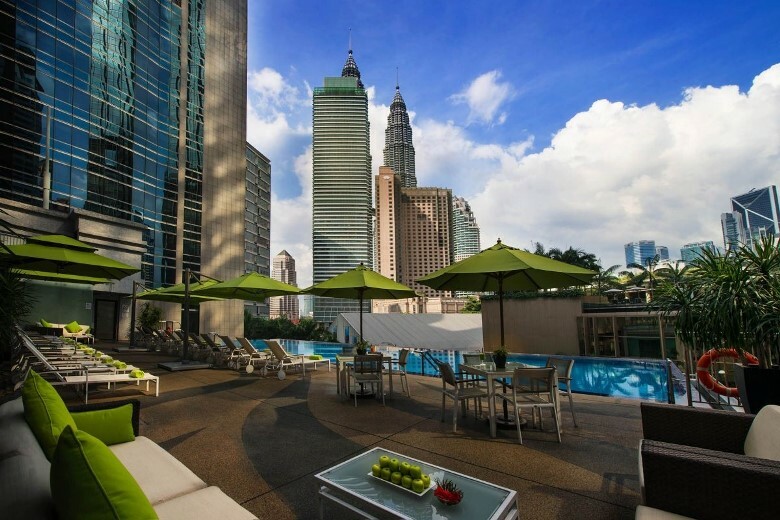 This relatively new luxury hotel is located in KL’s financial district, just right opposite Twin Tower. 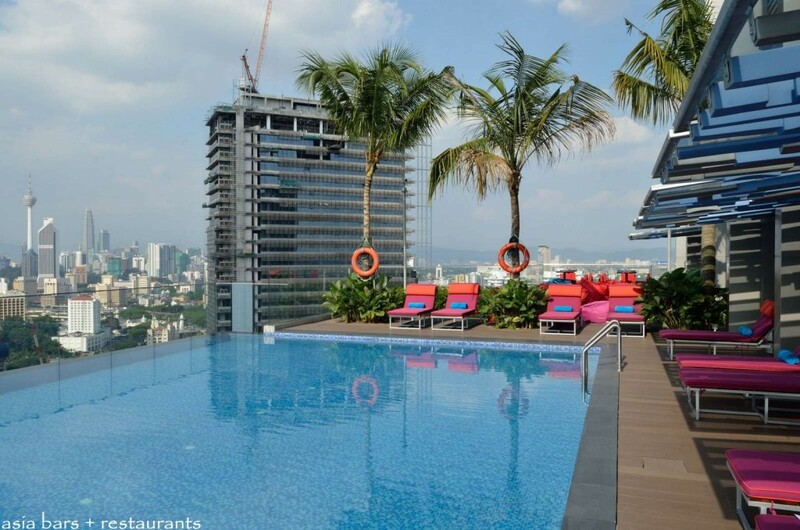 Standing stall at 65-storey, the rooftop infinity pool offering panoramic views of Kuala Lumpur’s endless skyline. There’s also a sky-high fitness center where you can workout while enjoy the panoramic views of the city. 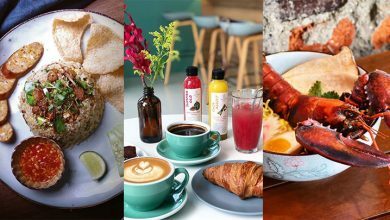 Aloft KL Sentral is slightly further away from the Twin Towers as compared to other hotels listed in this article, but the property is conveniently located opposite KL Sentral. On top of that, the pool has a very young and lively vibe, being surrounded with popping-pink sun loungers. 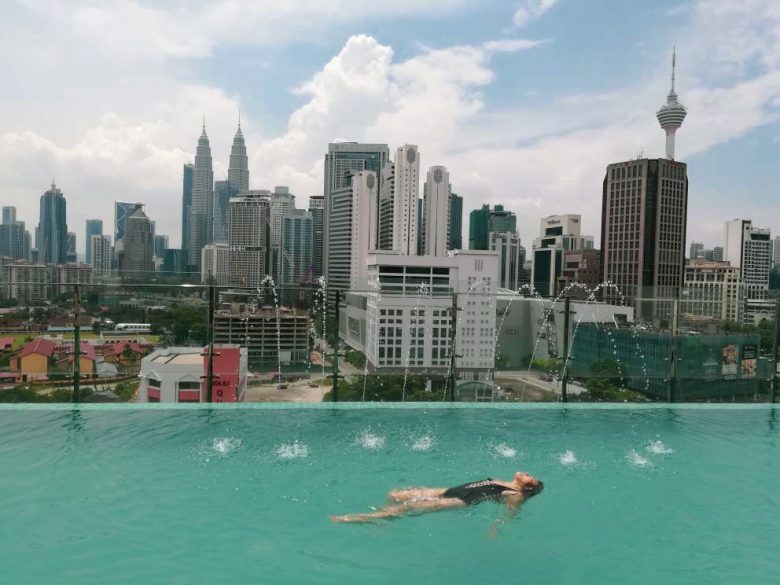 The rooftop infinity pool provide a nice unblocked view of KL City, and you can still see one of the buildings of Twin Towers.